Condo king Bob Rennie has been the target of many lawsuits, but for over four decades, the power broker says he has never taken action to sue anyone himself. Until now. Rennie Marketing Systems is suing Vancouver-based Shape Properties Corp. for more than $16 million in real estate marketing fees related to the sale of more than 1,300 condo units at developments near Brentwood Mall in Burnaby, according to a notice of claim filed in B.C. Supreme Court. In June 2016, Shape and its partners, including multi-billion-dollar, Toronto-based pension funds, terminated Rennie’s services on the massive mixed-used, retail, office and residential project. They decided to market the project in-house despite three towers of condo units nearly selling out and the defendants “having learned the Rennie Platform from Rennie Marketing Systems,” states the claim. The allegations in the claim have not been tested or proven in court. Rennie started working in 2011 with Shape and its partner companies that are associated with the Healthcare of Ontario Pension Plan to market the “Amazing Brentwood” project, a 28-acre site at Lougheed and Willingdon next to Brentwood shopping centre, according to the claim. The vision was a “master planned community” with 13 high-rise residential towers. “Rennie Marketing Systems was instrumental in developing this concept and in the planning, branding and market positioning of the project,” states the claim. The lawsuit, filed at the end of December, said Rennie began marketing for this project in 2013 and also started drawing up similar plans for “City of Lougheed,” a separate, 40-acre site in Burnaby co-owned by Shape and companies associated with Greystone Capital Management, a Regina-based firm that invests $32 billion on behalf of pension and endowment funds for Canadian universities, unions and companies. The Lougheed project plan also contains mixed-use retail and office space and a plan for 23 high-rise residential towers. The companies agreed for Rennie Marketing to receive a fee for each condo sold, based on a confidential percentage of the sale price, with half paid by Shape to Rennie when buyers signed a firm, pre-sale contract and the remaining due when the condos were completed and the deals closed. Shape would also pay a monthly advance. 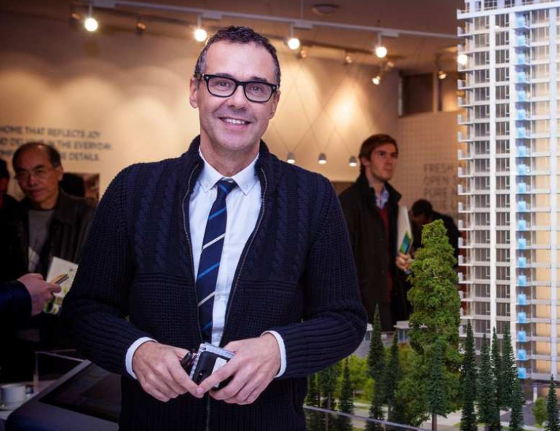 The claim said even though Shape failed to sign the agreement for six months, Rennie allegedly staffed up a sales centre and nearly sold out two towers of 845 condo units at Brentwood between 2013 and 2015. The claim said that Horton proposed for Rennie to exclusively market other future projects to be developed by Shape and Greystone. Rennie made several proposals for fee reductions, but did not hear back from Shape even though it “continued to work intensively with Rennie,” said the claim. By April 2016, according to the claim, Rennie had nearly sold out a third tower at Brentwood when Shape asked to keep the presentation centre there staffed with sales agents and coordinators to direct potential customers to its Lougheed project. Then, in June 2016, Horton advised Rennie that Shape was terminating Rennie Marketing Systems’ services on both projects, according to the claim.